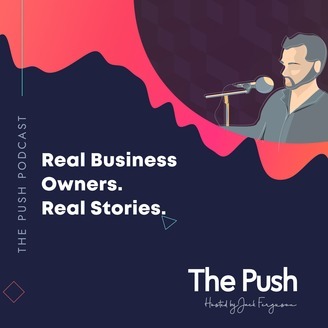 It is the mission of this podcast to bring you interesting, practical, and entertaining stories of how guests got through the tough times in their business careers. 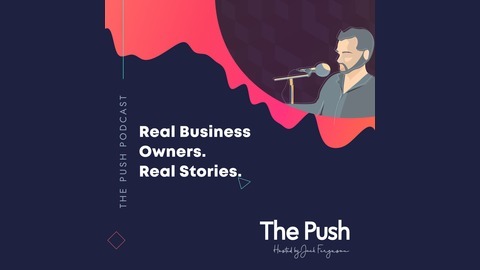 This is a collection of real stories from the trenches of entrepreneurship with the aim of helping you to Be The Push when you need it most, so you can then take the next step in your business journey. This path can be lonely but I’m here to remind you that you’re not alone. Guests have inluded Shark Tank investors Steve Baxter and Dr Glen Richards. Hosted by Jack Ferguson, a businessman based in Brisbane, Australia, who is fascinated by all things entrepreneurial. Today's guest is Rachel Smith of cyclingrachelsmith.com and author of Underspent: How I broke my shopping addiction & buying habit without dramatically changing my life On today's episode we cover a range of topics including Rachel's near death experience while scuba diving in the UK. We discuss Rachel's year of non buying and what that has done for her personal finances. Rachel also introduced me to a concept of manifesting your own redundancy. Enjoy the episode!